Earlier in the year a proposal was put forward for a wind farm at Talladh a Bheithe, an area of the Central Highlands lying between Loch Ericht and Loch Rannoch. It’s not well-known as it contains no Munros though it is overlooked by a remote Corbett (hill between 2500’ and 3000’), Beinn Mholach. 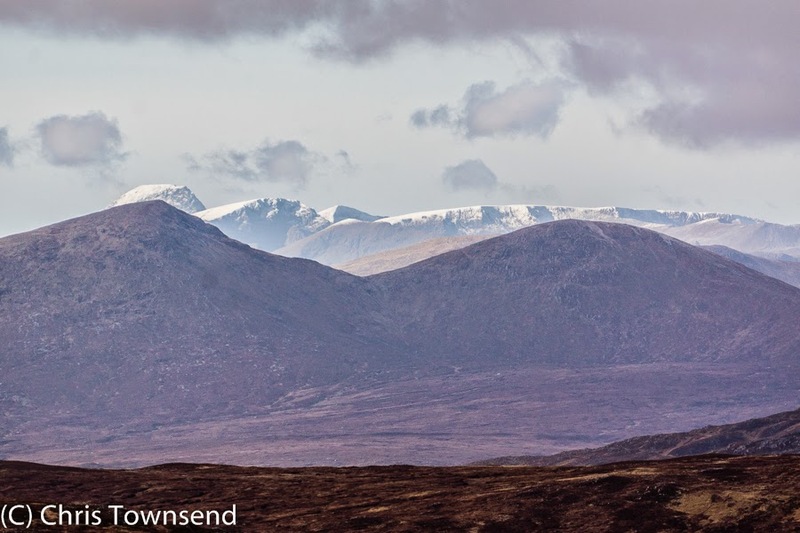 However there are many Munros surrounding Talladh a Bheithe so any wind farm would be highly visible in many views near and far, a factor that has prompted many outdoor and conservation organisations to object strongly to the proposal. A group has been set up to fight the wind farm too. Called KeepRannoch Wild it has an excellent informative website with many links. As it was clear from the map how obtrusive this wind farm would be I put in my objection as soon as I heard about it. I was aware though that I didn’t really know what the area was like. Indeed, although I had climbed Beinn Mholach and had looked across Talladh a Bheithe from many Munros I had no recollection of actually going there, nor was I even aware of the name. I decided to remedy this with an overnight visit and another ascent of Beinn Mholach so I could view the area from above. A predicted weather window of 24 hours or so amongst the long run of storms this autumn looked a good opportunity. I hoped the forecast was correct as I set off in the evening from Dalnaspidal on the A9 road in rain and wind and tramped along the track beside Loch Garry. Leaving the lochside as darkness fell the track deteriorated into a boggy morass. However as my feet grew muddier and wetter the rest of me started to dry out as the clouds cleared and the rain faded away. There was a sharp feel to the air when I reached the estate bothy Duinish at the base of Beinn Mholach and soon an almost-full moon rose into the sky and a frost settled on the ground. I lit a fire in the bothy, which made the place feel a little more welcoming though did little to create heat, and settled down for the night. Dawn came calm and clear. Just a few high thin clouds streaked the sky. 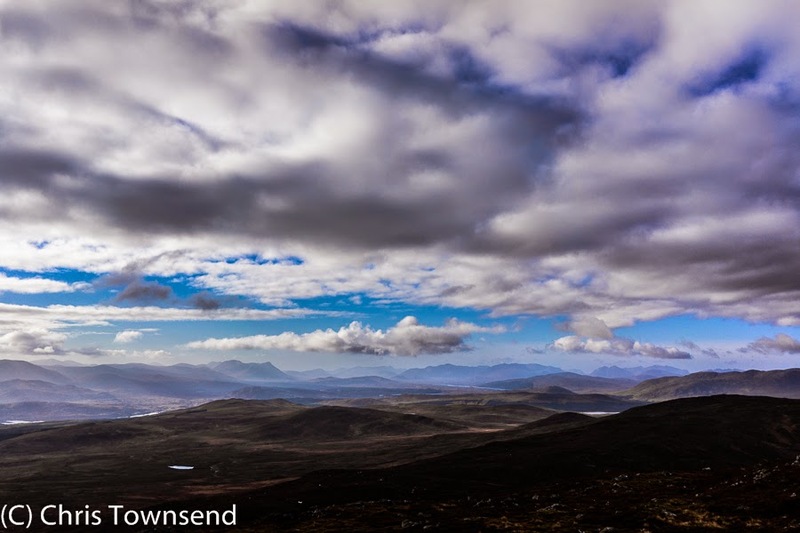 I was soon away up the heathery, boggy slopes of Beinn Mholach. This 841 metre hill is big and complex with several subsidiary tops and several little rock outcrops (the name means shaggy mountain). As I climbed the landscape all around opened up. There are no other hills of similar height nearby so Beinn Mholach is an excellent viewpoint. To the south across Talladh a Bheithe and Loch Rannoch I could see the distinctive cone of Schiehallion, a mountain that would dominate the whole day, and the Glen Lyon and Ben Lawers hills. North and east were the A9 Munros, big rounded lumps. North and west Ben Alder was snow-capped with to the south two usually hard to see Munros, Carn Dearg and Sgor Gaibhre, clearly visible. Further away were many more hills including a distant very snow Ben Nevis. Beinn Mholach really does feel in the heart of the mountains. I could also look down to Talladh a Bheithe, an area of low hills and stream valleys to the south-west. Wind turbines here really would stand out and completely disrupt the feel of being in a wild place. 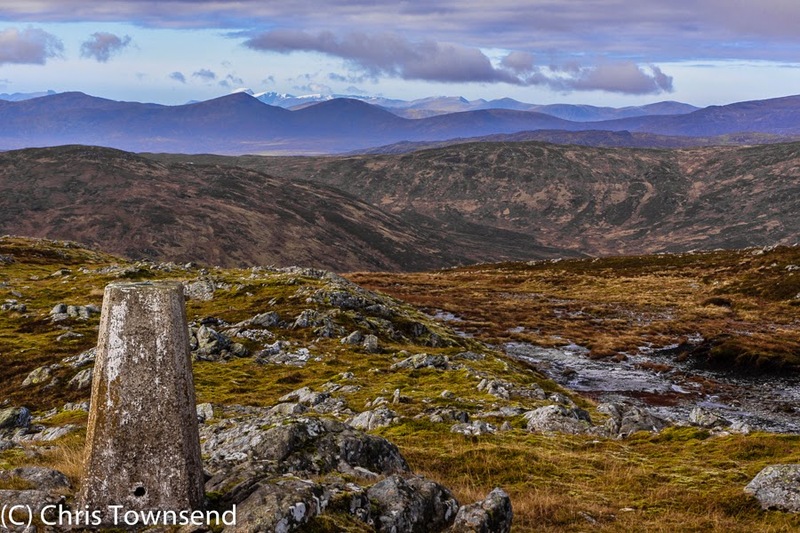 There are no big manmade structures close to Beinn Mholach and so it should remain. I continued along the broad ridge stretching west from Beinn Mholach until I was directly above the proposed wind farm site. Here I descended beside the Allt a’ Choire Odhair Bhig, passing a small ragged plantation, into the centre of Talladh a Bheithe where I camped close to the stream, a peaceful spot on the edge of a wide flat boggy area and below rounded hills. The only sounds were the trickling of the stream over stones and the occasional guttural roar of a rutting stag from high in the hills. In the distance I could see Schiehallion. Dusk brought another hard frost and a crispness to the air that made the mountains all round stand out as sharp silhouettes. A wind farm here would totally destroy this peacefulness and subtle beauty. The weather window was just that and I woke to rain and wind and low cloud hiding the mountains. A five-hour head-down, hood-up march took me round the base of the hills and back along Loch Garry to my car. I didn’t mind. I’d seen Talladh a Bheithe, I’d had a lovely camp and I’d climbed a fine hill. Great blog post Chris, it really helps to show what we are trying to protect. If people try to imagine 24 turbines, each 125 meters high on that site and the visual impact that would have from all of those surrounding munros and corbetts they might realise why we are worried. There are also a lot of environmental and ecological reasons why this wind farm is such a bad idea, you probably noticed that almost the whole area is peat which would have to be dug out, up to 3 meters deep in some places, I don't know how much carbon that would release but probably a lot more than the wind farm would ever save. Louise is spot on - however I think the term "worried" is probably an understatement, as a large chunk of the community's livelihood - tourism - is at stake here. It would be criminal act to build Turbines here. Sadly I have no faith in the lunatics that make these decisions, and wouldn't trust them a kit. So here's hoping they grow a backbone and turn it down with no backdoor appeal route. If you never got beyond the first photograph, you'd still have enough information to know that this is a totally inappropriate siting. The indifference of the print (with a couple of exceptions) and broadcast media is unfathomable. "A wind farm here would totally destroy this peacefulness and subtle beauty. ".....absolutely.....there are very few areas of such natural beauty......it is truly shocking to think that a wind farm could ever be considered for this site. Your photos are stunning. Thanks for highlighting this issue. Beautiful pictures of our treasured landscape, Chris. Who in their right mind would even think about constructing wind turbines here? Turbines in these landscapes would be desecration. The photos say it all but this is also a great description of a stunning area. I couldn't agree more with those who point out the insanity of suggesting it is Ok to completely eradicate the wildness of this area, supposedly for a greater environmental cause. Can there be a more worthwhile cause than protecting our natural heritage? Thanks, Chris, for this reminder in words and pictures of what we're joined together in fighting for. My greatest worry is that the majority of the population don't visit wild areas, so they can't relate to why we are objecting so much. whenever I mention the Talla a'Bheithe and other such proposals, they're usually met with blank stares. The majority think windfarms are great, so I find we're fighting a losing battle. Attempting to argue against urgently-needed action to reduce carbon emissions on the grounds that this might "disrupt the feel of being in a wild place" is frankly astonishing. We have much more important things to worry about - several orders of magnitude more important - than a subjective impression of spoiled views. Noel does know (as I have given him the references and have been through this discussion with him in the past repeatedly elsewhere) that wind farms built on peat soils make no carbon dioxide savings over conventionally generated electricity at all. In fact, as the UK's electricity generation mix changes to more gas and less coal, this equation actually changes to wind farms built on peat soils actually being responsible for more carbon dioxide emissions. If Noel looks at the developers planning proposal he would find that the peat depths for this particular site are between 2.5 and 3.5m deep and largely undisturbed natural peat. This means that this site is wholly unsuitable for a wind farm on this basis alone. So, from a "green" perspective it should be refused. Why Noel continues with this campaign to support renewable in the most inappropriate places is beyond my comprehension. Noel, you are trivialising an important issue. What is frankly astonishing is that you are happy to see wild places and nature destroyed. Is there anywhere you wouldn't be happy to see wind turbines and if so why? I've written about this several times before. Here's a quote of mine that I stand by: "Environmentalists say that covering the hills in wind turbines, roads and power lines is necessary because otherwise the hills will suffer due to global warming. So destroying them now is okay because if we don’t they’ll be destroyed in the future? No, this is not okay. The price for combating global warming cannot be the trashing of wild places. To do so would be to so diminish the world that it would not be worth saving anyway. If wild places, the environment we come from and depend on, cannot be saved then what can? Wilderness, I truly believe, is essential to the human spirit. It’s not an add-on, not an option. We need it." See http://www.christownsendoutdoors.com/2012/10/controversy-2-wild-land-wind-farms.html or my overall view. Wild places and nature are not "destroyed" by wind farms. When you drill down through the hyperbole we find only minor, temporary environmental impacts. Clearly, the most strongly felt objections are not in fact about concrete environmental issues at all but rather a highly subjective impression of spoiled views. Even this is exaggerated: atmospheric conditions mean that, most of the time, turbines are almost invisible from a distance. I don't dismiss any of these impacts out of hand. I love the wild places of Scotland and I've spent years wandering around in them. If there was no pressing reason to build wind farms I'd be in complete agreement with you. 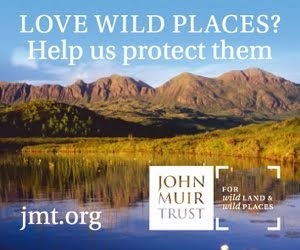 If we had enough alternative locations to avoid using designated wild land I'd agree with you. However let's be clear about this: we're staring down the barrel of a gun at a genuine environmental catastrophe and we're already several decades late in tackling it. Some effects are already irreversible, such as the collapse of the West Antarctic ice sheet which on its own will (eventually) lead to a sea-level rise of around 10ft. In order to judge these issues with a proper sense of perspective, you have to think big. Unmitigated climate change could wipe out perhaps a quarter or more of species right across the planet and it would take many millions of years to recover biodiversity after an extinction event on this scale (Kirchner 2000). Climate change threatens to alter the whole course of evolution. In North America alone, half of all bird species are at risk of extinction (see Audubon Society's Birds and Climate Change Report). By contrast, wind turbines may kill some birds but they don't threaten any species with extinction. Nothing could trivialise the very real environmental destruction which we face more than exaggerated complaints about "destroyed" environments which, when examined closely, simply boil down to a subjective impression of spoiled views. That's not good enough. If you've got better arguments, lets hear them. If not you must stop objecting to urgently-required efforts to reduce our carbon emissions. Wind farms and associated roads and power lines do destroy wild land and they're certainly not almost invisible from a distance most of the time. There is no pressing reason to build wind farms on wild land - when built on peat as this one would be they'd don't even save any CO2. Wind farms on wild land are not an answer to climate change. There are plenty of alternative locations anyway, which being in or close to point of use mean less energy is lost in transmission and less energy expended in building roads and power lines. Thinking big means looking at what will actually mitigate climate change and that doesn't mean wind farms on wild land in Scotland. As I said in quote from my previous comment "The price for combating global warming cannot be the trashing of wild places. To do so would be to so diminish the world that it would not be worth saving anyway. If wild places, the environment we come from and depend on, cannot be saved then what can? Wilderness, I truly believe, is essential to the human spirit. It’s not an add-on, not an option. We need it." I will not stop objecting to the destructionnof nature and wild places and I will continue to oppose people like you who are in favour of such the industrialisation of nature. Apart from the view, what is it that you think roads and power lines "destroy"? There is a big difference between subjective perceptions of visual amenity (which I do share) and actual, concrete environmental damage. Both are temporary. In a couple of hundred years or so there will be little to show the turbines were ever there. Wind farms build on peatlands have a *potential* to release significant amounts of CO2 but they are not *guaranteed* to do so. If best practices are followed the peat can be preserved largely unharmed. This is something which must be written into any agreements. I do agree though that emissions-reduction-potential is key to judging a particular project. The other part of that equation is the average wind speed at a given location. I wish we did not have to build wind farms in the wild places but when you look at a wind map of the UK it doesn't look like we have a lot of choice. I think you've talked yourself into a corner with the idea that it doesn't make any sense to "trash" our wild lands in order to save the global environment. We're not actually going to spoil anything except (temporarily) some views. This is a high stakes game where trillions of dollars, billions of lives, and even the future course of evolution are at stake. If I may be so bold, Chris? I'm sorry Noel you are plain and simply wrong. The researchers at the University of Aberdeen - funded by the Scottish Government - came to the unanimous conclusion that it would be very unwise to build wind turbines on deep peat. And especially so if it was undisturbed deep peat. You have the reference - Please read it again. I am grateful that at last you are responding to the crux of the matter as far as you see it. I haven't talked myself into a corner at all. It doesn't make any sense to destroy the beauty, peace and nature of wild places and this is done by industrialising them with wind farms. It is a high stakes game and what is at stake is irreplaceable wild land. It's funny that people like Noel Darlow (a professional wind farm cyber-supporter for many years on many websites) who call anyone questioning claims about the impact of global warming "deniers" is in complete denial about the environmental effects of building wind plants on wild land. Before documenting some of the stuff Noel is happily denying, I'll pick one out of the many unfounded claims that Noel makes, namely, that we have already at this point in time "irreversible" changes. The planet has been *much* warmer before (e.g. the medieval warm period), so how can a change taking place *now*, i.e. following a much warmer period that was followed by colder periods than now, be "irreversible"? Whatever has changed now ("he collapse of the West Antarctic ice sheet") had, before this alleged change, clearly "reversed" the changes brought about by the medieval warm period. That is the collapsed ice sheet had formed *after* a much warmer period than the one we are experiencing now, so Nole is talking absolute nonsense, as is his want. As for the environmental damage that he is so blissfully denying, there are so many pictures on the web, if he can't be arsed to visit construction sites, of the damage done to the peatlands that it is easy for anyone to take a look. Anyone who's walked up Beinn a' Bhuiridh knows that even relatively small land rover tracks never fully recover. These are much larger tracks, and there are so many thousands of miles of them now that it will *never* be economical to *attempt* to regenerate them. So, Noel's claim that "there is no significant impact in the short-term and no impact at all in the long-term" is spectacularly false. Only a professional reality-denier would make that claim and think that it is a true one to make. Promoting pseudo-science - such as the MWP (there was no globally synchronous, multi-decadal cooling) - is quite rightly termed denial. The limits of what one may reasonably claim about matters of science are defined by the set of published papers which have not yet been refuted. That's it. The rules are the same for everyone: a scientific idea must be expressed as a formal, technical argument and presented for publication in a reputable journal. There is a very good reason why some choose vanity publishing on internet blogs instead. Anyway, this is not the place to start a daft argument with the purpose of attacking climate science. Please do not reply to this post. Please do not reply to this post? Why not? However, I am still waiting for you to answer the question I posed to you on Twitter and Chris asked here. 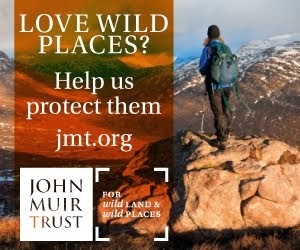 Are there any places in the whole of the Scottish Highlands or any other wild area where you would not support the building if windfarms or would you prefer to see all wild areas with them as the problem you identify is so grave? I'm assuming Chris doesn't want his blog about Talladh a Bheithe to turn into yet another rehash/rebuttal of denier memes about climate science. That's why. In order to cut carbon emissions drastically, we need to do three things: cut energy consumption, make modest cuts in general consumption, and massively expand renewables. And we have to do it fast. Land-based wind has the best potential for immediate expansion and, given that average wind speed is so important to turbine location, we can't avoid significant developments on designated wild land. Upland and coastal areas are the windiest parts of the UK. There will need to be hundreds of Talladh Bheithe's. As far as I'm concerned anywhere is fair game provided it can be shown that there is a good emissions reduction potential. Remember turbines are temporary structures. I'd expect that advances in other renewable options will mean that, within a timescale of a hundred years or so, many wind farms due to be decommissioned will not be replaced because other, better options have become available. Thus there would be a big initial wave of developments later tailing away to a much smaller base. We need this. The days of burning hydrocarbons with no thought for the future are over. I would prefer it if the debate could still be centred around wind farms and wild land rather than climate science however I'm not happy about you or anyone asking people not to reply to a post. People have the freedom to comment on comments if they wish. In response to this post the idea of hundreds of Talladh a Bheithe's and that anywhere is fair game conjures up a nightmare vision but does make it clear that you would be happy to see the complete destruction of wild land and nature everywhere. Not evven most ardent proponents of wind farms usually go that far. In the current issue of The Scottish Mountaineer Niall Stuart, Chief Executive of Scottish Renewables, writes "I believe that the new rules which have been put in place are sufficient to meet our renewable energy targets, while protecting our most special landscapes". Now I'm sure that I would disagree with him on where wind farms should be built in some cases but even he agrees that special landscapes should be protected. Would Noel Darlow please get a SOUL? That is what wild landscapes are about. Who here wishes to become an automaton? Certainly not me and all those who fight to preserve what is left of Scotland's natural wonder. Without our connection to nature we are nothing,life is not worth living and the planet is not worth saving. "Soul" is not the kind of territory you want to fight on. I've spent more time out of doors than most people who complain about wind farms. I've also done a lot to help other people enjoy the experience of being out in the wild places. I get it. I really do but climate change is many orders of magnitude more important and our generation will have to make sacrifices to deal with it. Wind farms won't be there forever and they cause little environmental damage either during or after their period of operation. The effects are a mixed bag. Some birds benefit, some don't, some a mix of both. Only a small percentage of the total land area is affected by the turbines and their access roads so vegetation isn't affected. Some worms might bang their heads on the concrete foundations. All this of course assumes best practices are followed to avoid disrupting nesting birds or altering peatland hydrology in a way which could cause large areas of peat to dry out. On the other hand climate change poses a real risk to UK peatlands. Most could be lost completely with only a rump area left in the north west highlands comprised of "dead" peat which is no longer accumulating new growth. Without new growth, this too would slowly die out over the long term as, for example, extreme drought events nibble away at the peatland down the centuries. What would you really want to see a century or two from now: a scattering of lichen-covered concrete stumps from old disused turbines and their access roads slowly being reclaimed by natural processes (it would take a while but it would happen) or vast areas of dead peatlands killed off by a changing climate which we did nothing to stop because we didn't want to spoil the view? Come on folks. Get real. We are real Noel. You're the one living in a fantasy world where destroying the Scottish Highlands with wind farms will save the world. It won't and you insult people like me and Jane with silly phrases like 'did nothing to stop because we didn't want to spoil the view'. However much you profess to love wild places it's clear you don't really or you'd be fighting to save them not industrialise them. Thanks for your comment Alan. I'm glad we agree on something! We will always agree on this issue, Chris. You'll note that Noel has not addresses (and has never addressed in any of these lengthy exchanges over wind farms in wild places) that the wind farms on deep undisturbed peat do more damage to CO2 levels than conventionally generated power. You'll not get a response on that, either. I was going to argue with Noel on this, but Alan said it all, and frankly, I would get the same response from arguing with a brick, so I am off to shout at my study wall. What all the others said. Except Noel Darlow. Chris a wonderful post capturing wild land, its value, and that connection of peace only found by walking and spending time in the wild places. Such diversity of landscape, ecology - sheer bliss to be init. Yet Noel wants to see it torn apart, ruined and damaged to save the planet. How utterly void and despairing a position. Wind farms are nothing more than coffin nails in the death of the landscape we so value. I could almost guarantee that I've spent more time wandering around the wild places of the highlands than you have. I've watched the northern lights from the high ground near Stronelairg long before the reservoir was ever built. 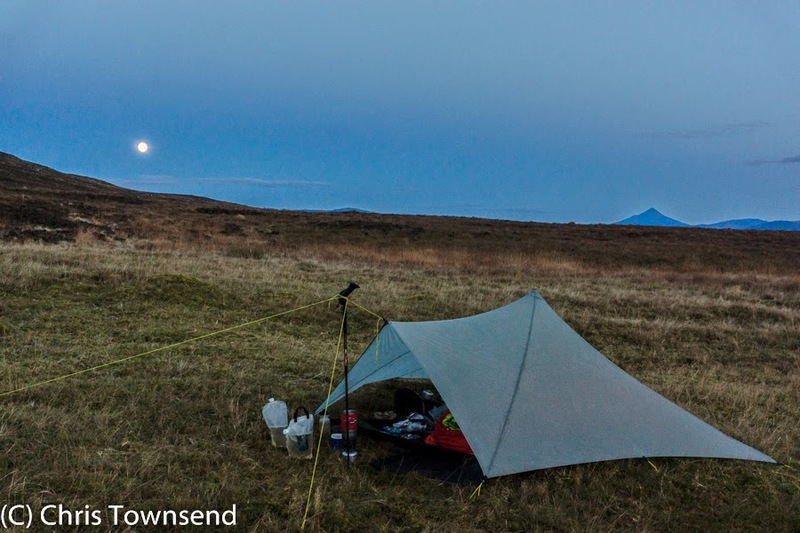 I've camped out on Rannoch moor under a late Autumn moon with stags roaring all around. Being inside a house almost feels like being in a prison. I've got lots of treasured memories of time spent out of doors. I'm a walker not a wind-farmer but even so I know what must be done. All I'm arguing for is a sense of perspective. You can't simply believe a thing is true simply because you want it to be true. I doubt you have spent more time wandering round the Highlands than I have. I've lived here for 25 years. I've climbed the Munros twice, once on a 1600 mile continuous walk that included the Tops as well. Last year I walked the Scottish Watershed from the Border to Duncansby Head. That's just the long trips. I am arguing for a sense of perspective. Destroying wild land with wind farms will do little in dealing with climate change and it will destroy something it is extremely important to protect. I want other people now and future generations to be able to enjoy wild places. My highland experience bows to yours Noel. I have only backpacked in Scotland for the last 18yrs - tell us about your big walks. Coast-to-coast ? Done the 4000ft summits linking them all wild camping as you go ? Camped on Munro summits? Please enlighten us? As for more walks than Chris you are truly deluded. I didn't make any comments about Chris's experiences. He seems like he's pretty well-travelled. 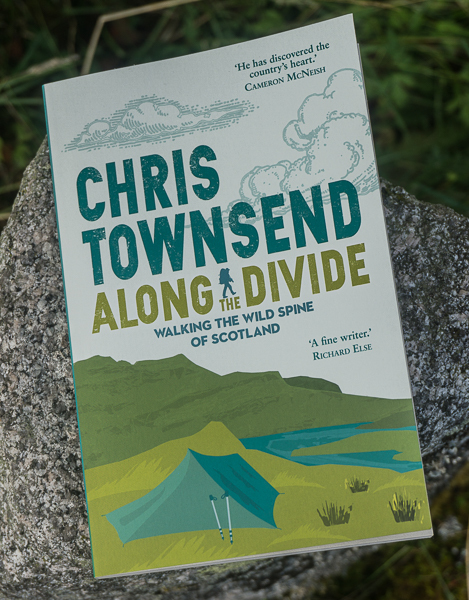 It's not a contest in any case: my point was that I'm writing from the perspective of someone who loves the wild places of Scotland at least as much as those who complain about wilderness "destruction". I wish turbines were not necessary but I know that they are. Once you remove spoiled views from the equation (as you must), there is no significant impact in the short-term and no impact at all in the long-term. Destroying peat layers to build road, tearing up land to cast deep concrete piles to sit turbines on. Roads, diesel spills, damage to wildlife habitat, let alone the destruction abroad for the raw materials to build the bloody things. So significant impact short-term Noel. Massive impact long-term. Stating you're deluded was correct. Plus you have done sod all in terms of spending time in wild places, as if you did you would value them. Which of our upland species are at risk of extinction as a result of the impacts you have described? Basically all you have done is describe the digging of holes which will cover a tiny fraction of the total surface area of a given habitat. When the turbines are removed everything will eventually return to normal. Carbon emissions: if peat dries out it will disintegrate and give up its carbon - OK. Some peat loss is acceptable given the total emissions savings potential over the lifetime of a development. With care, this can be kept low. Noel. First, re read your first sentence re your experience. You certainly did claim to have spent more time wandering the Highlands than Chris. Secondly, you clearly do not love the wilderness as much as others because you are putting something else above its protection, albeit for reasons you have articulated. Thirdly, why must we remove spoiled views from the equation? They are part of the equation we are debating. It's like the rest of us arguing 'once you remove global warming from the equation, as you surely must'. In fact I replied to Martin Rye not Chris. Like I said it's not a contest - my fault for appearing to suggest that. Why take views out of the equation? Because that exposes the triviality of the argument against wind turbines. A renewable energy policy desperately needed to cut carbon emissions cannot reasonably be blocked because of the effect of some temporary industrial structures on the view. I don't like them either but I can live with them if I have to. In my experience they do not ruin the sense of wilderness - that's more about the number of people in the area, or lack of them. I've stood beside giant turbines above the Afton reservoir on Windy Standard and still managed to enjoy the buzz of being out in the hills under an open sky. From a distance, they tend to just fade into the background. 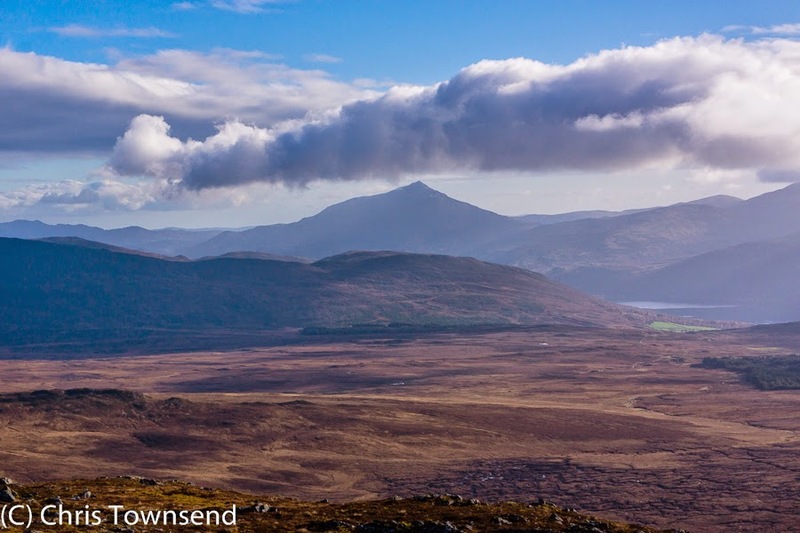 Much has been made of the claim that Talladh-a-Bheithe will be visible from Schiehallion. That's, what, 20km away?! On the days when the turbines are visible at all, they'd be hard to pick out from the background haze. I've seem a study which suggests that a changing climate threatens to destroy much of the UK's peatlands. 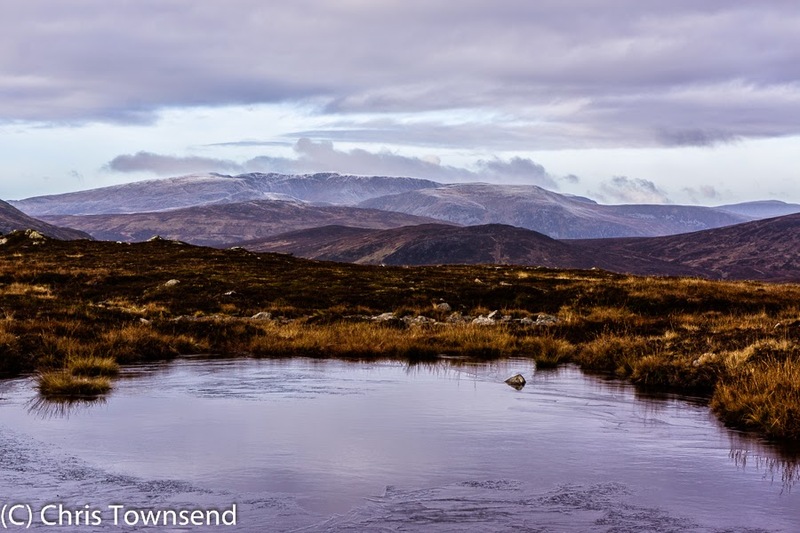 If you truly want to preserve the wild, upland habitats of the highlands it could be that 100 years or so of extensive wind farm developments is the price which must be paid. Is that the study from the Scottish Environmental Protection Agency (SEPA) - a Quango whose board members are appointed by ministers in the Scottish government and whose Chief Executive is then appointed by the board? Is that the study you're referring to? Who's taking "views" out of the equation? I don't see anyone doing that. What I see, two or three times, is a derogatory reference to "subjective views" like it's a weak spot in an argument. I'm quite happy to discuss these "views" and why they are in fact important. In order to do that however you will have to have to stop proffering a discussion on your terms only, which is denigratory from the start. I frankly don't know the extent of the turbine installations - Chris, Alan and others know more than I do. The points for me are a) it's still early days b) the precedent they establish is critical because c) it will inevitably be exploited by anyone who can make money from it. That may account for some more part of the passion the topic provokes, in a post bankster-shyster zeitgeist where developers, land owners and politicians will trash the hills if a) it benefits them b) they can. I was tempted to go this way on next year's Challenge, but decided to go past Stronlairig instead as the threat there is even more immediate. It beggars belief that people think destroying this kind of landscape somehow saves the planet. Hey, ho. Well done to you and Alan for being rallying points in this battle. I crossed the wild and lonely heart of Talladh a Bheithe on my 2008 Challenge having planned a pathless low level crossing from the south end of Loch Ericht to Loch Errochty. Passing the spot where Chris camped and, as Chris, stayed on the slightly better north side of the big bowl of deep peat around Dubh Lochan na Beinne Boidich but crossing over towards Loch Errochty before reaching Duinish. Yes it is demanding but a very rewarding route. Full of deep peat and rufty tufty. As most Challengers prefer the high level routes the changes of meeting anybody at all every small. The beauty, sense of space, the feel of wilderness on the other hand are overwhelming. Chris your post does it justice. Thank you. I'm still trying to find ways to support the Talladh a Bheithe Windfarm opposition on the Dutch side of things. One of the best responses to a blog post that I have read in a long time. I take my hat off to all you gracious gentlemen defending our wild land from these monstrosities with such gusto and bow to your superior knowledge and time taken to research such a diverse argument is to be commended well done lads you have my unwavering support. An excellent post Chris and so good arguments from a number of contributors on the folly of wind farms. I have a number of issues with them. Environmental impact, particularly in relations to peat as discussed above and despoiling wild areas. Secondly they are a payment by and large to wealthy landowners and an additional 'tax' to others particularly the less well off in society, this cannot be right. Thirdly there are other ways of cutting CO2 emissions and I will give a practical example I how I can cut emissions and every household in the country. I may not be able to argue with such knowledge and understanding as some but I have just moved to an house with probably 40 halogen 50 W downlighters. That is a huge amount of electricity being used each day. Solution invest in 4.5 W 3 chip LEDs and I can cut my consumption to around 1/10th of that using conventional bulbs. The relative high cost of the LEDS will be paid for in a year with the saving in electricity costs. My understanding is that the GU10 50W downlighters are the most popular form of lighting in the UK. Just one example of how we cut consumption - there are plenty more. I don't want wind farms in our wild areas- for god sake !!! - wake up everyone before it is too late. If you're interested in this stuff there's a great interactive web site here http://my2050.decc.gov.uk/ which allows you to explore different emissions strategies. We definitely need to spend big on efficiency in order to reduce energy consumption but we have to do this in addition to a dash for renewables, not instead of. We may also need to reduce our general consumption ie goods and physical stuff, not just energy. I'd guess that we would need to commit to maybe 50-100 years of extensive wind developments in upland/coastal areas of the highlands but eventually we'll be able to start dismantling them. Some may be moved offshore or technological advances might allow other types of renewables to take over more of the load. Even fusion, if it's possible/economical at all, might be available in that kind of time scale. However, here and now land-based wind is cheap and relatively easy and so that's where we have to start. I'm all for community renewables projects (and land reform generally) but vast swathes of our upland landscapes are privately-owned and we just have to deal with that. Noel, w're never going to agree on this so I'm not going to keep repeating itself. You are in favour of the destruction of our last wild places and you can't even see that that is what you are proposing. Nothing can justify that. Alex Salmond’s vision of a Scotland powered entirely by renewables by 2020 has been dismissed as “nonsense” by one of the UK’s leading energy economists. In an interview with The Times Dieter Helm, Professor of energy policy at the University of Oxford, insisted it did not make economic sense for Scotland to be reliant on renewable energy. Nor would it help in the battle against climate change. Professor Helm, a member of the economic advisory committee to the UK secretary of state for energy & climate change, accepted that renewables had their place, particularly in helping to power remote island communities. However he insisted the government should embrace a balanced energy policy as opposed to the notion of Scotland as “the Saudi Arabia of renewables” which Mr Salmond has helped to popularise. Mr Salmond... raised Scotland’s renewable electricity target to 100 per cent by 2020 during the last election campaign. Figures released in July showed that in 2013 renewable electricity generation was equivalent to 46.6 per cent of gross electricity consumption compared with 16.9 per cent in 2006. But as the amount of electricity generated from renewables has grown so has Scotland’s reliance on millions of pounds of subsidy, factored into energy bills across the UK, warned Professor Helm. He questioned whether it made economic sense for Scotland to pursue a strategy that relied predominantly on English consumers to pay the costs of systems & interconnections. Tracing energy policy back a decade and more, he said Mr Salmond, who in other ways appeared “a rather good economist,” had fallen in with other European politicians by promoting green technologies, which seemed to offer a competitive investment, against an anticipated rise in oil prices. This had proved a fallacy, said Professor Helm, particularly in light of the 25 per cent fall in the oil price over recent weeks. Professor Helm is the author of The Carbon Crunch, a powerful polemic arguing that governments around the world are failing in their efforts to tackle global warming. He argues for a more urgent response including a transition from coal to gas, carbon pricing and investment in new energy technology. He reserves strong criticisms for wind power — “disaggregated, diffuse and intermittent” — which in Scotland is despoiling “some of the most beautiful wild open landscapes in the world”. Pointing out that northern Europe is prone to high pressure climatic conditions in mid to late winter, when there is little or no wind, Professor Helm notes that in addition to thousands of turbines a “complete non-wind system” is required to cover those periods of calm: “Two sets of electricity capacity rather than one”.